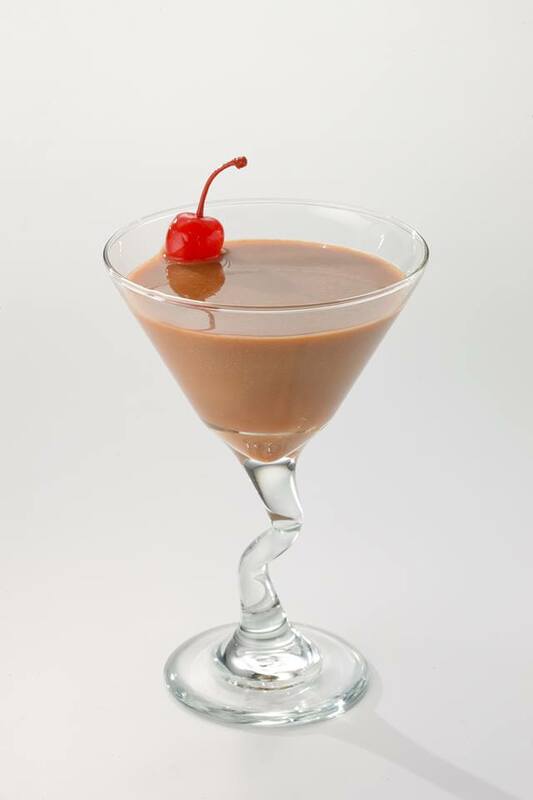 a creamy chocolate martini featuring Travis Hasse’s original Cherry Pie Liqueur which is made in Pewaukee, Wisconsin by Travis Hasse Distilling Co. Shake over ice and strain into martini glass. Garnish with cherry.